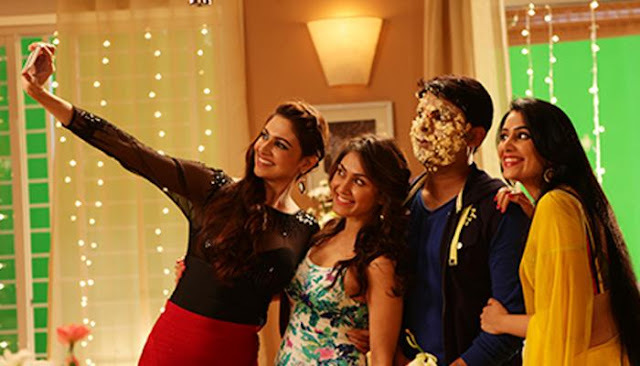 KKPK opened very well on Box Office. People from every age group are enjoying it very much.. Kapil Sharma starrer film was basically targeting single screens, even multiplex occupancy was quite good, which was a pleasant surprise indeed. The average occupancy was in 40%-50% range and there were several places where the film went HOUSEFUL! The film also got good benefit of Eid Holiday and Kapil's fan following helped the film very much to collect an Amount of Rs. 10.15 Crores on Box Office. By collecting this amount the film has beat first day collections of films like Badlapur (7 CR), Tevar (7 CR), Piku (5.3 CR), Bombay Velvet (5.2 CR) and even newly released films Hero (6.85 CR) & Katti Batti (5.28 CR). For more updates on film Stay tuned to Bollywood Reporter.